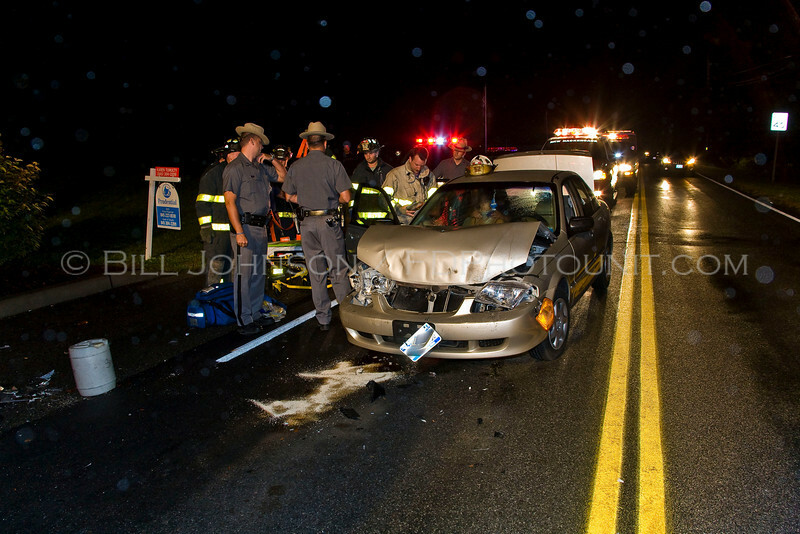 New Hackensack Firefighters, Town of Wappinger/Trans care Medics, and the NYSP operated at this two car rear-end accident on the rainy evening of Friday September 26th. The young female driver of the second vehicle was transported for evaluation to St. Francis Trauma Center. The driver of the first vehicle and his passenger were uninjured.